In today’s day and age, many families and friends live far away from each other because of work or education. Distance separates and divides family members and groups of friends. Many of us have a best friend or a close relative living abroad and whom we miss terribly. It is true that many of these friendships drift apart but some, remain as strong as steel, for a very long time. Some of us can just spend hours reminiscing on the good old days when we spent lots of time with that person, simply laughing and creating unforgettable memories. If the person you miss lives in the United Arab Emirates, Lebanon, Saudi Arabia, Qatar or Bahrain, then we found a sure way to make your relationship with your friend or family much stronger. YouGotaGift.com believes that friendship can cross borders and we let you do exactly that. With our broad range of online gift cards, you can send gifts to UAE (as well as other countries) dwellers at the click of a button. All it takes is a visit to YouGotaGift.com, a selection of an eGift card and a little personalization to make it extra special. Our platform has a long list of gift ideas especially suitable for your loved one living abroad! If you are looking to send online gifts to Dubai, you can choose items ranging from dining experiences to simply apparel. And so, gifts for the foodie, the technology lover, the fashionista and the fitness expert are all available on our website. What better way to remind your loved ones living in the UAE or other countries in the Middle East that you are thinking of them? To make it easier to send gifts to Dubai, Abu Dhabi, Beirut and other cities, here is a short list of gift ideas that can inspire and help you make the right choice for your friend or relative. 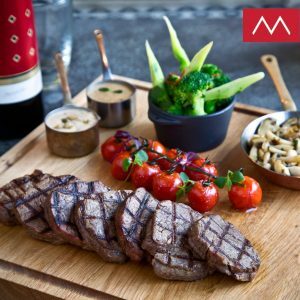 If you are dealing with a foodie, then how about offering them a unique dining experience at The Meat Co? This restaurant offers them top of the line food and drinks, as well as breathtaking views from their different branches of both Burj Khalifa and the Abu Dhabi Mosque. Technology lovers will rejoice with an eGift card from Sharaf DG, where they can find all the electronics they want as well as the accessories for all their gadgets. The fashionista is definitely going on a long shopping spree once he or she receives an eGift card from Galeries Lafayette. They simply have everything: from eyewear to handbags and luxury accessories and shoes. It’s the shop to be in for all shopping needs! For the sports enthusiasts, you can choose from a long list of online gift cards, including Sun and Sand Sports, Nike or the Dubai Kartdrome. Inspire them to be the best and fittest version of themselves. These are only some of the options found on YouGotaGift.com; there are over 90 brands in total that you can select to make the perfect gift for your loved one in the UAE. The best part? That it can all be done in about three steps and from the convenience of your own home. 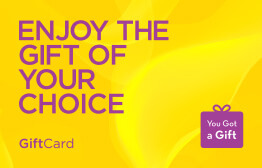 Just head to YouGotaGift.com, select the gift card and the amount of your choice, then add your message, a photo and a greeting card. That’s it! 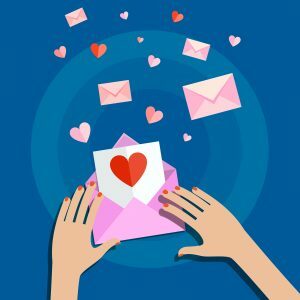 At YouGotaGift.com, we believe that closeness has nothing to do with distance, and this is why we make it very easy for you to send your love to your friends and family living abroad. Visit us today and let your loved ones know that distance means so little because they mean so much. This entry was posted in Online Gifts, YouGotaGift.com and tagged Send Online Gifts, Send Gifts to Dubai on October 31, 2016 by Maria Najjar.